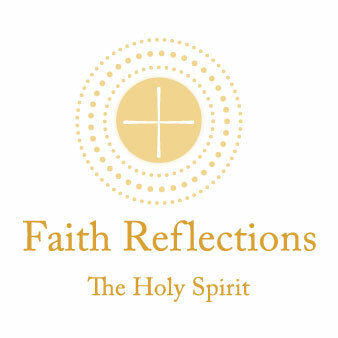 The Holy Spirit has been a source of wisdom, strength, and spiritual insight for people of faith across the centuries. For Jesus’s Apostles, the Holy Spirit was also instrumental in helping them form the early Church. The Holy Spirit descended upon the Apostles after Jesus’s Resurrection, giving them His grace and renewing their passion for Christ’s teachings. The Holy Spirit’s presence gave them the spiritual strength to begin their public ministry of building the Church. Through the Spirit, the Apostles performed miracles, baptized thousands, and inspired people to believe in the Word of God. The Apostles regularly prayed to the Holy Spirit for guidance and strength as they made decisions about how the Church should grow and faced challenges from people threatened by their message. The gift of the Holy Spirit continues to be essential to the life of the Church and can fill an important role for each of us in our faith journeys. As an Apostle, St. Jude received the blessing of the Holy Spirit at Pentecost and throughout his new ministry to help build the Church. He shared truths about the Holy Spirit with others as he spread the Word of God. There are times in our life when it would be a comforting reassurance to be guided by a column of smoke as we navigate a serious challenge. In our prayers to St. Jude, we often ask for hope and inspiration for the difficulties we face. St. Jude has a first-hand understanding of the Holy Spirit and the Holy Spirit’s impact on people of faith. As we give our gratitude to St. Jude for all his intercession on our behalf, we can ask St. Jude to give us the peace of his hope so we can begin to build our awareness and love for the gift of the Holy Spirit.